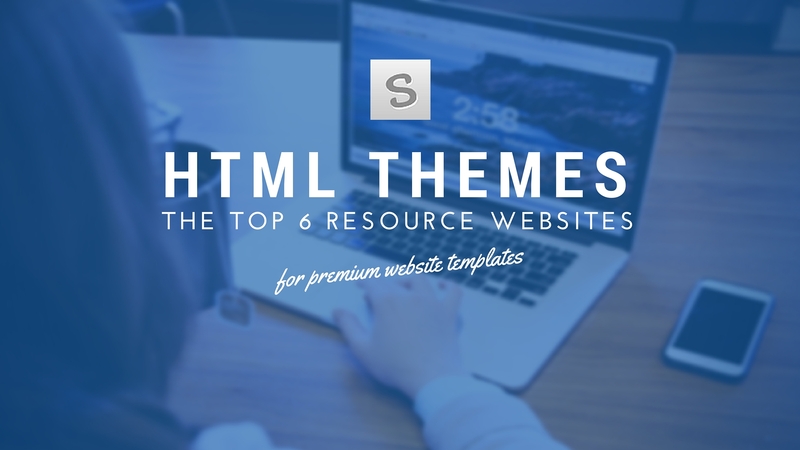 Are you ready for another website themes roundup? This week we’re going to dive heads up into the world of web design, featuring a premium selection of HTML templates for your next web project. One of the main benefits of going for a simple HTML template rather than buying a complete WordPress theme, for example, is the end product price. While purchasing a good WordPress theme may go up to $60 and even $100, HTML templates usually go around $10 to $30 at most. Templates can be distributed either page by page or in a complete bundle depending on the needs of the buyer. There are many places online where you can find and buy yourself a website and even app template, yet quality comes on a different price. Purchasing one at Fiverr, for example, might not end up the way you wish as depending on the developer’s skills, templates might lack functionality and have a heavy code, which will hinder your site’s performance in search engines. This is why we’ve put up a list of HTML templates and template sellers to help you on your journey to creating a beautiful and functional website. The first on our list is the Creative Market. Sure it’s a mainstream pick,but there’s a reason why this digital marketplace has gained such a popularity thought the web community. Truth is, you can find everything design-related in the creative market and prices vary from high-end premium designs to simple one-page websites that you can get for $10 and even less. While Etsy’s mostly known for its handmade online boutiques and vintage shops, recently, it gained popularity among web designers, as well. 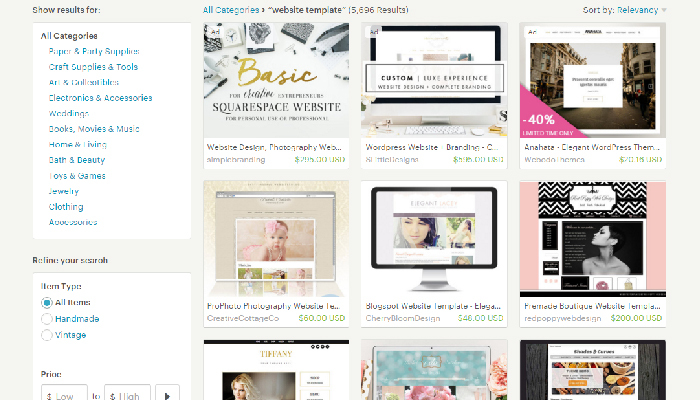 Since more and more creative people have started understanding the nuts and bolts of building an HTML and CSS website, the Etsy digital marketplace has been flooded with high quality themes and all sorts of digital files, waiting to be discovered. Known as the most popular place for all-things-design, ThemeForest has made it to the top of an endless array of web design blogs way before we listed it here. And there is a simple answer to this phenomenon. 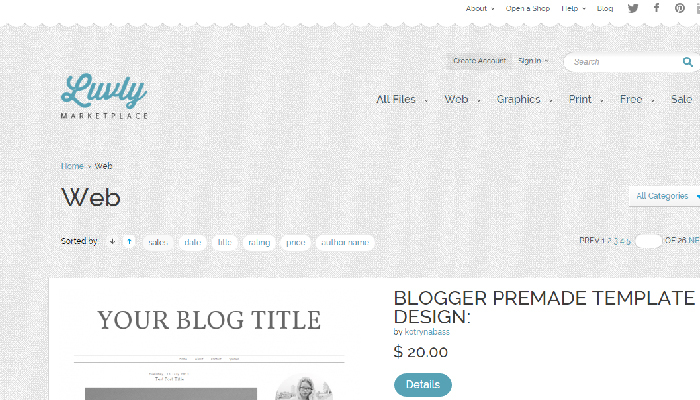 The Envato marketplace is hands down the widest and most elaborate web design database you can even find over the web. ThemeForest is just a small part of Envato’s various digital shops which offer everything from 3D modelling and animation to photography, video editing and plugins. When it comes to crisp, pixel-perfect website themes and templates, Mojo Themes is place to go. The website offers a wide array of website template categories to chose from, which include, but are not limited to: business, photography, blog, magazine, portfolio, e-commerce, restaurant and many more. Bring your website to life with one of their lovely HTML themes and enjoy quality product for no more than $25. 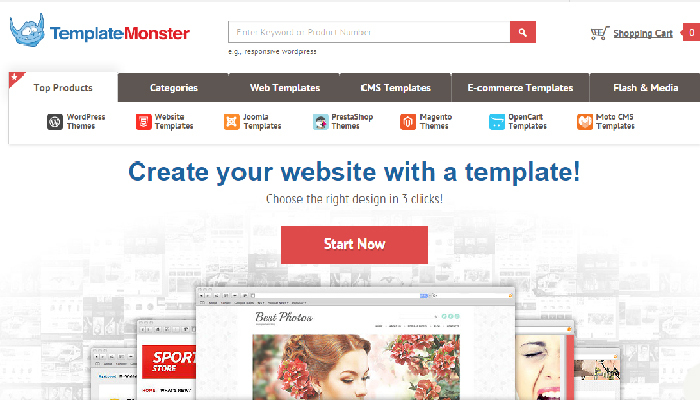 Being a leaders in the digital marketplace sphere for over 13 years, Template Monster is not just a regular templates marketplace. The team offers a huge selection of first-class website templates and a wide selection of additional services to help web design newbies setup their websites without breaking a sweat. Allow me to present you one “luvly” digital marketplace which is just gaining speed in the rivalry for becoming a leader in the graphic resource sector. Luvly, just how its name suggest, is a new, friendly marketplace which offers graphic design resources as well as web html templates and many more. Ever since its launch, it has welcomed many newcomer designers and shop owners to its online selling platform, steadily becoming a well-known destination for purchasing design resources. Web design HTML templates have been around long before content management systems, such as WordPress Joomla and Drupal started offering the options for creating customized CMS-specific themes. HTML templates can be found in all types and layouts, from one-page business websites and portfolios to complex multi-purpose websites. HTML templates are not optimized for a specific content management platform, making it harder to apply the layout to a website without understanding the basing HTML and CSS principles of web development. Yet, these templates have a strong set of advantages, making them a considerable choice in situations when there’s expert help available or when the user is highly competent in what he’s purchasing and aiming at producing with the use of the template. HTML templates will continue to be a prime resource for savvy web developers who’re searching for a convenient and cost-effective solution to swiftly build a website with great layout without putting much effort in design.